Many drivers enjoy listening to music, audio books, or radio programs to pass the time during their daily commute. However, in some circumstances, these types of in-vehicle entertainment can prove dangerously distracting. As a result, California is one of several states that have laws restricting how drivers use audio media while operating a vehicle. Being able to hear what's going on around the vehicle—such as the sounds of traffic, approaching emergency vehicles, or potential hazards like screeching tires—is essential to defensive and safe driving. 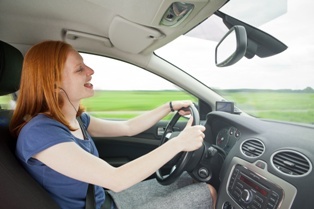 Playing music or other audio media too loudly can make it difficult for drivers to hear sounds that could help them avoid accidents. Research from the AAA Foundation for Traffic Safety shows that listening to audio media through headphones, earphones, or earbuds not only further diminishes a driver's ability to hear critical sounds around them, but also increases their cognitive distraction level. California has long banned the use of headphones and earplugs while driving or biking, but until just a few years ago, it was perfectly legal to wear earphones or earbuds. That changed on January 1, 2016, when a state law went into effect making it illegal to wear earbuds on top of the ears (these types of earbuds are also sometimes referred to as earphones) or inside the ear canal—regardless of whether they're actually playing audio. Motorists who violate the law can face fines of $160 or more. Additionally, though California law prohibits headphones, earphones, or earbuds on or in both ears, drivers using a single earphone or earbud are still in compliance. Do You Need an Experienced Car Accident Attorney? If you were seriously injured in a car accident caused by the negligence of a driver who was wearing both headphones, earphones, or earbuds at the time of the accident, you may have grounds for a personal injury insurance claim or lawsuit. Have questions about your case? Call the Inland Empire Law Group at 888-694-3529 or 909-481-0100, or complete our online contact form to schedule an appointment for a free initial case consultation. Who is at fault in a left-turn accident? Left-turn accidents are an all-too-common occurrence in California. These crashes occur when a vehicle making a left-hand turn collides with a vehicle that's headed straight, generally in the opposite direction. 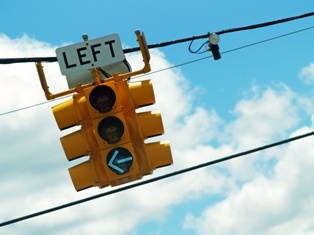 Left-turn accidents can result in serious injuries and property damages, leading to significant medical expenses and unexpected time away from work. The driver heading straight was traveling at an excessive speed. The driver heading straight didn't obey traffic lights or signage, such as a red light or stop sign. The driver turning left initiated the turn while it was safe, but unexpected circumstances required them to slow, swerve or stop. The driver going straight was under the influence of alcohol or drugs thereby contributing to the collision. The driver proceeding straight was talking, texting, or otherwise distracted thereby making their actions a cause of the collision. The driver heading straight acted in a way to increase likelihood of the collision. If you were injured in a left-turn accident that wasn't your fault, you may be entitled to compensation for medical bills, property damages, lost wages, loss of income, pain and suffering, and other damages. Because California follows pure comparative fault rules, accident victims may still be able to collect compensation, even if they were partially responsible for the crash and their injuries—however, their financial recovery will be reduced to reflect the percentage of their liability. Were You Hurt in a California Car Accident? After a serious car crash, it's vitally important that victims understand their legal rights and options. The knowledgeable attorneys with the Inland Empire Law Group can answer your questions, address your concerns, and offer advice on navigating the personal injury litigation process. Contact us today toll free at (888) 694-3529 or locally at (909) 481-0100 to request a free initial consultation to discuss the details of your case with one of our experienced attorneys. Is motorcycle lane splitting legal in California? Lane splitting—defined by the California Department of Motor Vehicles as “passing other vehicles proceeding in the same direction within the same lane”—is a common practice among motorcyclists. In fact, one study found that 80 percent of California motorcyclists regularly lane split on the freeway. 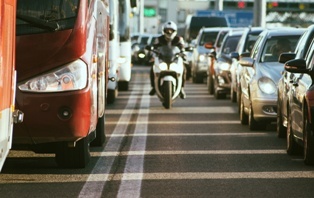 Despite its popularity, there are questions surrounding both the safety and legality of lane splitting, also known as lane sharing or filtering. Contrary to popular belief, lane splitting is actually legal in California. State law never specifically forbade the practice and, in 2016, Governor Jerry Brown signed AB 51 into law, giving the California Highway Patrol (CHP) the ability to develop lane splitting guidelines. Were you hurt in a California motorcycle accident that wasn't your fault? Whether you were the motorcyclist involved in a traffic collision, or a motorist who was struck by another vehicle, the knowledgeable attorneys with the Inland Empire Law Group can investigate your claims, help you understand your rights and potential options for compensation, and present a strong case. Do you have questions about a California lane-splitting motorcycle accident? Contact us today at (888) 694-3529 to schedule an appointment for a free, no-obligation legal consultation. 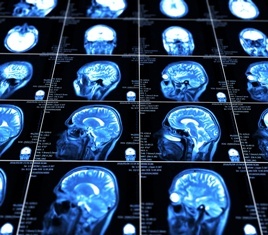 What type of monetary recovery is available to injured TBI victims? Car accidents are a leading cause of traumatic brain injuries (TBIs), according to the Centers for Disease Control and Prevention (CDC), which estimates that there are more than 5.3 million Americans—or roughly two percent of the population—living with disabilities caused by a TBI. These injuries can irreversibly change an accident victim's life, resulting in the need for ongoing medical treatment, assistive care, and other costly accommodations. In fact, one Northwestern University study found that living with a TBI can cost between $85,000 and $3 million over the course of a lifetime. These damages are harder to calculate into dollars and cents, but they are real and an injured person can greatly benefit from the financial assistance for the losses suffered by the TBI victim. Finally, there is a third type of damages known as punitive damages. Money may be awarded in cases where the defendant's behavior was particularly egregious or wanton. An attorney can help you determine if a request for punitive damages might apply in your case. If you or a loved one sustained a TBI in a car accident caused by another person or company's negligence, the skilled attorneys with the Inland Empire Law Group can investigate your case, and help you understand your rights and legal options. The injury professionals at the Inland Empire Law Group can provide quality legal services, from pre-litigation settlement demands to taking a case to trial if necessary to secure the best result for your injury claim. Contact us today at (888) 694-3529 or (909) 481-0100 to schedule an appointment for a free initial consultation. 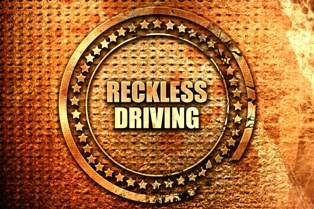 Reckless driving is a common type of behind-the-wheel negligence that can lead to accidents, injuries, and deaths. This is no minor traffic infraction. In California, reckless driving is a misdemeanor offense that can result in up to three months in jail, between $145 and $1,000 in fines, and as many as two years probation. California law considers two types of reckless driving: “wet” reckless driving, which indicates the involvement of drugs or alcohol, and “dry” reckless driving, which drugs and alcohol were not a factor. Were You Injured by a Reckless Driver? Reckless driving causes countless accidents, injuries, and fatalities each year—both in California and across the nation. If you were injured in an accident caused by a reckless driver, you may be entitled to compensation for damages such as medical expenses, property damages, lost wages, and pain and suffering. Additionally, if the reckless driver's conduct was particularly egregious, you may be entitled to a rarely-awarded type of compensation known as punitive damages. Do you have questions about an insurance claim or personal injury lawsuit? The knowledgeable and experienced car accident attorneys with the Inland Empire Law Group can answer your questions, and help you better understand your legal rights and options. Contact us today at (888) 694-3529 or (909) 481-0100 to schedule an appointment for a free initial consultation. Is it always your fault if you hit another car from behind? A rear-end accident occurs when one vehicle crashes into the back of another vehicle. These types of collisions are one of the most common types of car accidents in the United States. More than 6 million car crashes are reported to law enforcement each year and rear-end collisions account for more than one-third of those accidents, according to the National Highway Traffic Safety Administration (NHTSA). In fact, more people are injured in rear-end accidents than any other type of crash; these collisions injure more than 500,000 and kill nearly 2,000 people annually. 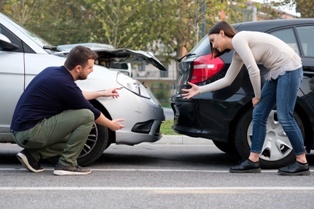 It's also important to note that being partially responsible for a rear-end accident doesn't necessarily preclude a driver from collecting compensation for damages. California is a pure comparative negligence state, meaning that each party is liable for their percentage of fault and their financial award is reduced according to their respective liability. Do You Have Questions About a California Rear-End Accident? If you were injured in a rear-end accident that was not your fault, or even partially your fault, you may be concerned about whether you're eligible to collect compensation for medical expenses, property damages, lost wages, and other losses. The knowledgeable and experienced car accident attorneys with the Inland Empire Law Group can review the details of your case, and help you understand your legal rights and options. Contact us today at (888) 694-3529 to request an appointment for a free initial case consultation. Can I Settle My Claim Without a Lawyer? What are the motorcycle helmet laws in California? California is one of 19 states with a universal helmet law that requires motorcycle drivers and passengers to wear a helmet while the vehicle is in operation, regardless of their age or ability. Some states exempt riders and passengers from wearing a helmet if they're over the age of 21 or have completed an approved safety course. However, in California, anyone driving or riding a motorcycle, motor-driven cycle, or motorized bicycle must wear a U.S. Department of Transportation (DOT) compliant motorcycle safety helmet—no exceptions. Additionally, the helmet must feature certification from the manufacturer stating that it complies with U.S. DOT Federal Motor Vehicle Safety Standard (FMVSS) 218. Failing to wear a motorcycle helmet in California can have consequences that range from a verbal warning up to a $250 fine. 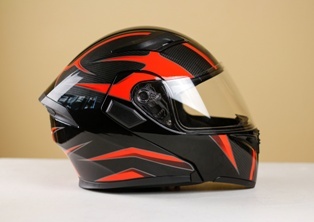 Most importantly, not wearing a helmet can negatively impact any personal injury insurance claim or lawsuit a motorcycle driver or passenger might bring in the event of an accident. California is a comparative negligence state and if a motorcycle driver or passenger wasn't wearing a helmet, it leaves the door open for the opposing party's insurance company or defense attorney to claim that the victim was partially responsible for his own injuries. If you were hurt in a motorcycle accident caused by another person or entity's negligence, you may be entitled to compensation for medical expenses, lost wages, loss of earning capacity, pain and suffering, and other damage. Even if you weren't wearing a helmet at the time of the accident, an experienced personal injury trial lawyer can assert arguments to overcome some of the comparative negligence claims raised by the defense. The seasoned personal injury attorneys at the Inland Empire Law Group have extensive experience helping injured motorcyclists secure the compensation they need and deserve after an accident. If you have questions about your motorcycle accident case, contact us today at (909) 481-0100 or (888) 694-3529 to schedule an appointment for a free, no-obligation initial consultation. We're happy to help you better understand your legal rights, options and rights to compensation. How Do I Hire the Right Lawyer for My Case? When are punitive damages appropriate in a car accident case? Many different variables come into play in determining whether a car collision might give rise to an award of punitive damages. Simple negligence is not sufficient to create a factual scenario for awarding punitive damages. Even reckless conduct or driving drunk may not lead to an award of punitive damages. But if you add to the mix circumstances which show a willful disregard for the safety of others, or evidence which shows a pattern of serious misconduct, the case might warrant the possibility of punitive damages. What Is the Difference Between Compensatory and Punitive Damages? Compensatory damages are those which are intended to reimburse the victim for specific losses he has suffered, such as lost wages, medical expenses and pain and suffering damages. Punitive damages are those which are intended as punishment for the defendant and his conduct. Punitive damages are also referred to as exemplary damages. When Can Punitive Damages Be Awarded? Two drivers are engaged in a game of chicken. The two drivers are competing to see who will swerve first, but the driver who swerves loses control and strikes a nearby motorist. A drunk driver on his second or third DUI blows more than double the legal limit. He is picked up after striking a pedestrian walking through a residential area. A driver who is accidentally cut off by another motorist experiences an episode of road rage. His speeding and carelessness results in multiple injuries, including victims left with lifelong disabilities—such a traumatic brain injury (TBI) or paralysis. Malice means conduct which is intended by the defendant to cause injury to the plaintiff or despicable conduct which is carried on by the defendant with a willful and conscious disregard for the rights or safety of others. Oppression means despicable conduct that subjects a person to cruel and unjust hardship in conscious disregard of that person’s rights. Some states place a cap on punitive damages in personal injury settlements, but California does not. The law only states punitive damages must be proportionate to your compensatory damages. This means that cases involving serious and permanently disabling injuries may be eligible for the highest punitive damages. While not the deciding factor, state law also requires that the defendant's financial situation be taken into consideration when deciding the dollar amount of the damages to be awarded. Since the purpose of punitive damages is to deter future bad behavior, a wealthy defendant with ample resources can be expected to pay a higher punitive damage award than someone who is living paycheck to paycheck. A large punitive damage claim can provide the deterrent impact on a wealthy person or company while a smaller award might accomplish the same purpose on a person of lesser financial means. It should be noted that insurance policies do not cover awards for punitive damages. This means if you have a punitive damage claim you are going to pursue you need to make sure the target of the claim has ample funds to pay an award of punitive damages. How Can an Attorney Help Me Prepare My Case? Since cases involving punitive damages involve complex factual and legal issues, it is vital that you have an experienced personal injury attorney available to advocate for your needs. Your attorney can help you line up evidence, document expenses, and negotiate with the insurance company or others on your behalf. This leaves you free to focus on recovering from your injuries to the fullest extent possible. Personal injury attorneys work on a contingency fee basis, which means there is no upfront cost for your legal representation. The attorney accepts a percentage of your final settlement as the fee for his services. If the attorney is unsuccessful in a contingency claim, then he does not get paid for his work. Inland Empire Law Group's legal team is committed to helping injured California residents receive the personal injury compensation deserve. Call (888) 694-3529 today to schedule a free, no-obligation consultation. What Happens When I Sign a Settlement Agreement? Should I Wait Until I Have Reached Maximum Medical Improvement Before I Settle My Case? How will self-employment affect my personal injury case? Recovery for lost wages can be a significant portion of any serious personal injury claim. However, receiving a fair settlement becomes more complicated when you are self-employed and your income fluctuates or is based on more than your own efforts. Someone who is self-employed works for himself instead of being an employee of another business. The self-employed are typically either owners of unincorporated small businesses or work as independent contractors. Self-employment encompasses a wide range of professions and industries. Salespeople, real estate agents, writers, artists, musicians, accountants, mechanics, doctors, and software developers are just a few of the many different types of self-employed people you will find working across the United States. People who are contractors in the gig economy working for services such as Uber or Fiverr are also considered self-employed, even if they only work through one service provider. If you were forced to hire someone to provide essential business services while you were recovering from your injuries, this person's wages could be included in your request for compensation. If applicable, overtime pay for existing employees who were required to take on additional duties in your absence can also be included. If you have been self-employed for several years, these documents will probably be fairly easy to provide. However, if you are newly self-employed or your income has recently changed dramatically, you may need to think outside the box to provide the appropriate proof. For example, attorneys sometimes recommend submitting letters from clients you have been working with or those who have agreed to have you perform work in the future. This avenue may be necessary if you have no other way to prove what your normal income. Having an economic loss expert testify on your behalf is another way to support your claim for damages. An economic loss expert can assess your earning potential given your education, past experience, and the local market for your services. He can also help to provide insight into how your injuries will affect your ability to support yourself in the future. Due to the challenges associated with accurately estimating self-employment income, having an attorney to advocate for your needs throughout the settlement process is in your best interests. Your attorney will be able to assess the value of your case, help you properly document your income, and negotiate with the insurance company on your behalf. It is a common misconception that legal representation is unaffordable when you do not have a steady income, but personal injury attorneys accept cases on a contingency fee basis. This means you owe no money upfront and will pay a percentage of your settlement to your attorney as the fee for representation. With this arrangement, you can rest easy knowing that your attorney is committed to helping you protect your right to compensation. The attorneys at Inland Empire Law Group are dedicated to helping California residents receive the personal injury compensation they need to move forward with their lives. Call today to schedule a free, no-obligation consultation at our Rancho Cucamonga or Victorville offices. Should I Wait Until I've Reached Maximum Medical Improvement Before I Settle My Case? What is a release of claims? 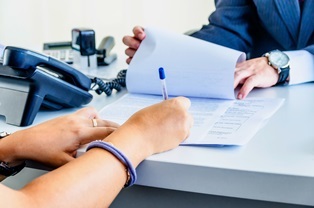 A release of claims is the document the insurance company or a defendant requires to be signed in order for payment to be made to settle the accident-related injuries. The release of claims details the compensation you will receive for your medical expenses, lost wages, and pain and suffering in exchange for a release from any further claims. If you are offered a release of claims a few weeks after your car accident, do not sign the document without careful consideration. Insurance companies are typically eager to settle claims early before you realize the extent of your injuries, so signing too soon may be a big mistake. If you sign a release of claim, then seek the advice of counsel because you continue to hurt, the lawyer cannot reverse the effect of the release. Even if you do not intend to pursue a claim, you should consider consulting with an attorney to determine if signing a release is in your best interest. Whiplash. Although most people with whiplash do make a full recovery, others are left with chronic pain that requires therapy, medication, and time off work well into the future. Concussion. A mild traumatic brain injury that happens after a blow to the head, a concussion can sometimes lead to a complex disorder called post-concussion syndrome. This condition causes symptoms such as chronic headaches, dizziness, and cognitive difficulties. Back pain. Don't assume that a backache will get better over time. Back pain after a car accident may be caused by damage to muscles and ligaments or a herniated disc. This can lead to chronic pain. Injuries to children. Since young children lack the communication skills necessary to fully articulate their symptoms, it is easy to underestimate a child's needs. Children may require treatment for post-traumatic stress disorder (PTSD) after a car accident which shows up later. Another factor to consider when deciding if a settlement is appropriate is that pain and suffering compensation is often undervalued in the early stages of a claim. Pain and suffering damages are intended to reimburse you for the physical pain as well as the emotional trauma of the accident. Pain and suffering damages develop over time so and early settlement may not properly capture all these damages. Regardless of the extent of your injuries, it is recommended that you refrain from settling your case until you have reached maximum medical improvement (MMI). This is a term that indicates you have either fully recovered from your injuries or have stabilized your condition to the extent that it is possible for experts to accurately estimate what your future medical needs and future pain will be. Your doctor can explain when MMI is likely to occur for your injuries. Assess the value of your case. While it is impossible to guarantee a specific outcome, a skilled personal injury attorney can assess the value of your case based on past experience with similar types of injuries. Document your expenses. To receive reimbursement for your damages, you need to have all of the proper documentation. It is easy to overlook required documents when you are distracted by your recovery, but an attorney will know exactly what's needed. Line up relevant expert testimony. If your case involves anticipated future medical expenses or loss of future earning potential, expert testimony will be crucial in establishing damages. Your attorney can locate the most qualified experts to testify on your behalf. Negotiate with the insurance company. The insurance company's goal is to make a profit, not to fairly compensate you for your injuries. Having someone advocate for your needs is critical. Inland Empire Law Group's legal team is committed to help compensate California residents who have been injured due to the negligence of others. Our legal team wants to help you move forward with your lives. Call today to schedule a free, no-obligation consultation at our Rancho Cucamonga or Victorville office. Call now at (909) 481-0100 and see the difference between our office and other lawyers in Southern California. Should I Talk to My Insurance Company About My Accident? Can I still sue for damages if I cannot remember the accident? It is common for people who are injured in serious car accidents not to remember the incident clearly. However, not remembering the accident does not necessarily mean that you are not entitled to seek compensation for your accident-related expenses. Traumatic brain injury. A severe brain injury can leave the victim unable to function independently, but even a concussion can create gaps in memory. Emotional trauma. In an accident where someone was severely hurt or died, the mind can shut down to avoid dealing with the emotional trauma. 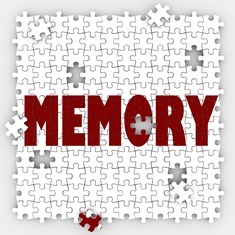 Memories may return at a later date, but may only be in brief flashbacks. Substance abuse. Someone who was impaired by drugs or alcohol may not remember the accident due to their substance abuse. Previous cognitive impairment. In cases involving accidents caused by older drivers with signs of Alzheimer's or dementia, a pre-existing condition may be the reason they cannot recall the details of the crash. Police reports. The police report is not normally admissible in court, but can play a significant role in settlement negotiations if it shows that the other driver is clearly at fault. Reports can also provide contact information for witnesses and details that may help to fill in some of the gaps in your memory. Eyewitness testimony. Witnesses may include other vehicle occupants, nearby drivers, or pedestrians who happened to be in the area when the event occurred. Black box data. A vehicle's black box can contain data on variables such as speed, acceleration, steering, braking, airbag deployment, and seat belt use. Surveillance video. Live traffic cameras or security systems from a nearby business may have caught the accident on tape. Photos. Witnesses, law enforcement, or members of the media may have taken photos of the accident scene. Vehicle damage reports. Certain types of car accidents leave well-defined patterns of vehicle damage, which means damage can be used to indicate fault. For example, in a rear-end collision, the driver who hits another car from behind is almost always at fault. If the back of one car and the front of the other car are the only damaged areas, this provides a strong indication of what happened. Accident reconstruction experts. These professionals use their background in physics and vehicle dynamics to interpret available data, including photos, event timelines, vehicle damage, and testimony. If the evidence suggests you were partially at fault for the accident, you can still collect compensation. However, California's pure comparative negligence laws requires that your settlement be reduced by your assigned percentage of fault. This means that if you were 30 percent responsible for the accident, you'd only receive 70 percent of the settlement you would otherwise be entitled to. A good personal injury attorney can help minimize the amount of fault attributed to your negligence. If the parties cannot agree on the percentage of fault, a judge or jury who tries the case will be required to assign percentages of fault. If you have recently been injured in an accident that you cannot accurately remember, retaining the services of an experienced personal injury attorney is the best way to protect your right to compensation. Your attorney can help you line up evidence to assess fault, document expenses, and negotiate with the insurance company on your behalf. Personal injury attorneys accept cases on a contingency basis, which means the attorney will ask for a percentage of the settlement in exchange for representation. This means you do not need to pay any money upfront for a retainer or come up with out-of-pocket funds while you are still dealing with the effects of your injuries. Call today to schedule a free, no-obligation consultation with Inland Empire Law Group's legal team at 888.694.3529. Appointments are available in our Rancho Cucamonga and Victorville offices. How will unemployment affect my personal injury case? Wage loss can make up a substantial portion of a personal injury claim if the injuries are so severe that they would limit a person’s ability to work. So unemployment can have a significant effect on your case. However, being unemployed does not necessarily mean that you are not entitled to compensation for the wages which could have been earned, but for the injuries suffered. If you are currently receiving unemployment benefits, this will likely reduce the value of your personal injury claim. You cannot argue that your injuries have caused immediate wage loss if you were not working at the time of the injury causing accident. However, if your injuries have affected your future earning potential, this can and should be taken into consideration when negotiating a settlement. In the situation where you were not employed at the time of the collision, but you were looking to return to the workforce, your attorney will use expert testimony to establish how your injuries have limited your ability to find suitable work. Testimony will focus on the nature of your injuries as well as your past work history, education, experience, and the conditions of the local labor market. In any personal injury claim involving unemployment, the length of time in which you have been out of work will play an important role. If you have only been unemployed for a short time, and that unemployment event was not of your choosing, such as a layoff, it will be easier to make the link your injuries to how they have negatively affected your future job prospects. However, if you have been unemployed for six months or longer, the defense may argue that other factors are playing a more important role in your inability to find suitable work. These challenges are to be evaluated in assessing the value of any personal injury claim. If you were unemployed, but not receiving unemployment benefits or actively looking for work, you may be classified as being out of the labor force. In this case, you are not entitled to lost wages or compensation for lost earning potential because your injuries are not the reason for your lack of employment. For example, someone who has been retired and drawing a pension for the past decade would not have lost wages or lost future earning potential due to injuries. The settlement value would be based solely on medical expenses, pain and suffering and possibly other damages. If you have had to hire a housekeeper or nanny due to your injuries, this cost can be included in your damages. If your spouse has been forced to cut back on his work hours due to increased responsibilities at home, this can also be taken into account. Similar considerations would apply if you are the full-time caretaker for an elderly parent or a disabled spouse. If you were working as a freelancer, independent contractor, or sole proprietor at the time of your accident, your claim for lost wages is typically based on your previous earnings. However, if your business venture is relatively new, you will need to provide an alternative way to document lost earnings or loss of future earnings. This might include copies of invoices, contracts, correspondence, and bank statements. Expert testimony can also be used to assess the value of your business and lost future opportunities that have occurred due to your injuries. Car accident injuries can result in a significant financial burden. When your injuries are caused by another party's negligence, you need an experienced personal injury attorney in your corner to advocate for your right to compensation. Calculating loss of earnings and its correlation to the injuries caused by the negligence of another, requires the skill of competent legal counsel. The legal team at Inland Empire Law Group is dedicated to helping Southern California residents who have been injured due to the negligence of others receive the personal injury compensation they need to move forward with their lives. Contact us today to schedule a free, no-obligation consultation at our Rancho Cucamonga or Victorville offices. Some doctors and hospitals will provide medical services on a lien basis. This means that they provide the medical services for an injured patient, yet they wait for payment until after a personal injury suit is settled. The debt remains an obligation of the patient, however, the medical providers asserts a lien against any financial recovery by the injured patient. Knowing the amount of the medical lien will be important to determine whether a settlement offer is adequate for your needs, including the payment of any medical liens. Medical lien are contractual agreements between the doctor, the patient and the attorney, to have the medical provider provide medical service in advance of payment. The doctor, patient and lawyer all agree to provide the doctor payment from any settlement or judgment prior to the patient receiving any funds from a settlement. This allows the patient to get the necessary medical care without having to worry about paying for the services during the recovery process. Ultimately, if there is no recovery, the patient remains responsible for the payment of the charges. Other types of medical liens involve a health insurance provider seeking reimbursement for previously paid medical bills. The health insurer often has contractual language which requires the insured person to repay any financial advances made by the health insurance company. Finally, there are some liens imposed by law for emergency medical services rendered to an injury victim or liens to protect government healthcare payments. Generally, there are two categories of liens, statutory liens and contractual liens. Statutory liens are imposed by law, while contractual liens are agreements between patients and doctors. Statutory liens are imposed to government and hospital interests. Health insurance: The majority of health insurance providers have clauses in their agreements that require you to repay any health insurance benefits later recovered from a third party in a personal injury settlement. Medical payments from your own auto insurance carrier: If your car insurance covers medical expenses related to your accident and another driver is later found to be at fault, you may have to repay some or all of the benefits after receiving a settlement. Agreements to treat: When someone is injured in a car accident and does not have medical insurance, providers will sometimes agree to treat on a lien basis. In this case, the doctor or care provider is agreeing to provide immediate treatment with no pay until a settlement is received. Although it may seem like a lien would require you to pay back every dollar of medical care you received, this is not necessarily the case. Lien amounts can often be negotiated, depending upon the terms of the contract. In many cases, an experienced personal injury attorney can convince a lienholder to accept less than the full amount for repayment. Negotiating a lien is often effective because the lienholder's financial interests are in line with the injured patient. If you go to trial and lose, the lienholder receives nothing. Therefore, they are often likely to accept less than what is fully owed as an incentive to resolve your personal injury claim out of court. When your attorney negotiates a lien on your behalf, it is common to consider how the cost of attorney's fees factor into the settlement. Since personal injury cases are accepted on a contingency fee basis, your attorney receives no payment for his services until a settlement is received. Then, a percentage of the award is provided as reimbursement for representation. As such, lienholders are often willing to accept responsibility for a prorated share of the legal costs associated with your case. You are legally required to report any personal injury claims that are pending to Medicare, Medi-Cal, or the health insurance which is paying for your medical treatment. Additionally, sophisticated computer software is used to flag records of injuries that could indicate an accident where someone else may be liable for payment—such as whiplash or broken bones. When this happens, you will receive a form asking for more information about who may be responsible for your injuries. If you do not report your pending personal injury claim to the appropriate party, you risk jeopardizing your eligibility for future benefits. You could also be sued to recover the amount of the lien plus additional penalties. In any personal injury case, the best way to protect your right to compensation for medical expenses, lost wages, and pain and suffering is to obtain experienced legal representation. Your attorney can assess the value of your case, gather evidence, negotiate with insurance companies, and help to resolve any outstanding liens to ensure that the final settlement you receive is adequate for your needs. To learn more, call to schedule a free, no-obligation consultation with the dedicated attorneys at Inland Empire Law Group. Appointments are available at our Rancho Cucamonga and Victorville offices. How Do You Protect the Statue of Limitations in a California Personal Injury Case? What is a vehicle data recorder? Most newer cars are equipped with a vehicle data recorder, also known as an event data recorder or black box. The device monitors the vehicle and stores information about accidents and other information. This information can be used to uncover information about the cause of an auto accident. In most vehicles, the black box is found in the powertrain control module or the airbag control module. Black boxes have been used in vehicles since 1994, but did not become widespread until the mid-2000s. They only work when the vehicle is turned on, so they will not provide any information when there is no battery power. Black boxes record a wide range of information that can be useful in the event of an accident. There is no one standard type of black box. This means that the length of time data is preserved from a crash varies according to make and model. Most black boxes record around 20 seconds of data before a crash, but some can record as few as 2.5 seconds of information. You can find out if your vehicle has a black box by referring to your owner's manual. However, there is no easy way to turn off the black box or opt out of having your data recorded. This has led to many complaints from activists who believe that the use of black boxes constitutes an invasion of privacy and those who believe black box data may be vulnerable to hackers. California law views black box data as the property of the vehicle owner. In most cases, it can only be accessed with your consent or a court order. However, it is also permissible to access data to perform vehicle safety research and to diagnose, service, or repair the vehicle. This information may also be accessed in a civil suit with a subpoena or through discovery. There are products that can lock your vehicle's diagnostics port, such as AutoCYB, OBD Lock, and OBD Saver. This means that nobody can plug in the tools needed to access black box data without your permission. However, you are still required to turn over your data if presented with a court order or subpoena. 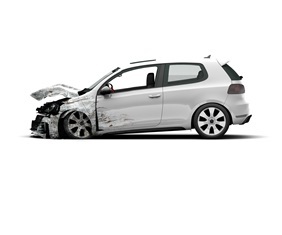 Black box data can be used in an auto accident personal injury claim to establish fault. The data could theoretically be used in any type of case, but is most useful when the accident involves a fatality, parties who don't remember the crash, or contradictory testimony from the drivers involved. Black box data can also be used to corroborate claims of certain types of injuries, such as whiplash from rapid acceleration and deceleration. In product liability cases, such as those involving the widely publicized defective GM ignition switches or the Toyota unintended acceleration crashes, black box data may offer proof of manufacturer negligence. If you want to use black box data as evidence, you must act quickly. The devices will only keep data for about one month before they start to record over the information. Contact an experienced personal injury attorney to begin the process of accessing and interpreting the black box data from your own vehicle or the other driver's vehicle. Get a preservation of evidence order. Invite all parties to attend the download process. Prepare a download protocol and get the consent of all parties involved. Photograph key stages and readouts from the computer. The legal team at Empire Law Group is dedicated to helping California residents receive personal injury compensation for medical expenses, lost wages, and pain and suffering following an auto accident. Contact us today to schedule a free, no-obligation initial consultation at either our Victorville or Rancho Cucamonga office. Why Is it Difficult to Settle a Personal Injury Case Without a Lawyer? Do I need to pay taxes on a vehicle accident settlement? THE FOLLOWING INFORMATION IS NOT TAX ADVICE. ALL TAX DECISIONS SHOULD BE DECIDED WITH A TAX ADVISER WHO KNOWS YOUR SPECIFIC CIRCUMSTANCES. If you have been injured in a car accident caused by another driver's negligence and are seeking reimbursement of damages in a personal injury claim, it may surprise you to learn that a portion of your settlement may be taxable. Plan ahead to avoid being hit with an unexpected tax bill. 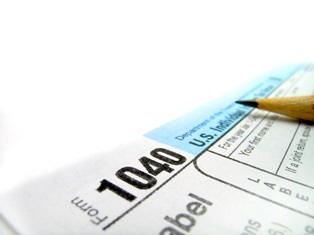 Your tax liability in a personal injury settlement depends on the type of damages you receive. 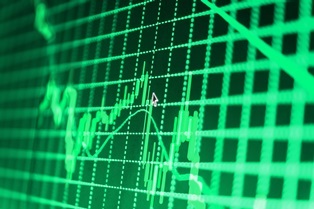 Liability is briefly outlined in IRS Publication 4345, Settlements Liability. 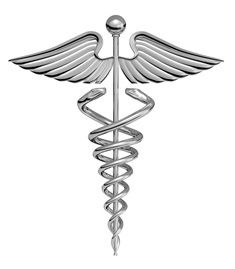 Medical expenses: Funds used to pay for your medical expenses are not taxable. However, if the funds are provided to reimburse you for medical expenses that you previously deducted from your tax return, a portion of the settlement may be taxable. Property damage: Money intended to compensate for vehicle repairs, a totaled vehicle, or a rental car while your vehicle was in the shop is not taxable. Lost wages: Any portion of your settlement intended to compensate for lost wages is fully taxable, since you would have been liable for income taxes on your salary if you were working. Lost profits: If you are a self-employed business owner, compensation for lost profits is taxed as ordinary income and may be subject to self-employment tax. Pain and suffering: Compensation for physical and emotional distress related to the accident is not considered taxable. 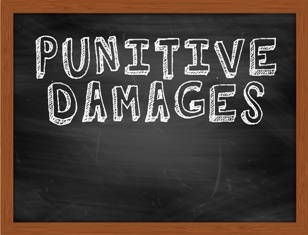 Punitive damages: Intended to punish the defendant and act as a deterrent against future bad behavior, punitive damages are rarely awarded in a personal injury suit. However, if you do receive this type of compensation, the funds are almost always taxable. Settlement interest: If you are receiving interest on a settlement, it is generally considered taxable as interest income. Attorney's fees: Personal injury cases are typically handled on a contingency fee basis, with an attorney receiving a portion of the settlement in exchange for his services. For tax purposes, however, you are considered to have received 100 percent of the settlement. This means you must include the portion of the settlement reserved for your attorney's fees in the taxable recovery. In most cases, it does not matter whether you settle your personal injury claim out of court or go to trial. Money from a settlement at the claim stage or awarded through a judgement following a trial is subject to the same tax laws. When determining if you should go to trial, you should weigh the strength of your case against the added time and expense of litigation. In many instances, the settlement documents can define the nature of the settlement payment to help minimize tax liability. The damages can be allocated to one type of damage or another to help reduce the possibility that the settlement will be taxable. These settlement arrangements can significantly alter the taxability of the payment. Personal injury settlements may trigger a liability for estimated tax payments if you are expected to owe $1,000 or more after subtracting credits and withholding. Review IRS Publication 505, Tax Withholding and Estimated Tax, and Form 1040-ES, Estimated Tax for Individuals, for details. If you are required to make estimated tax payments and fail to do so, you may be charged a penalty. You can be charged a penalty for late payments, even if you end up being owed a refund when you file your annual return. It is important to determine how tax liability will affect your personal injury settlement since being responsible for unanticipated taxes could make an otherwise fair offer inadequate for your needs. However, a personal injury attorney is only equipped to offer general guidelines regarding what types of damages are taxable. For advice that is specific to your situation, you will need to consult an accountant for details. Maximizing the size of your personal injury settlement requires careful documentation of damages, evidence to support claims of the defendant's negligence, and expert negotiation with the insurance company. To protect yourself, you need an experienced personal injury attorney in your corner. Inland Empire Law Group's dedicated legal team is committed to helping California residents who have been injured due to the negligence of others receive the personal injury compensation they need to move forward with their lives. Call today to schedule a free, no-obligation consultation with our experienced car accident injury attorneys in Rancho Cucamonga or Victorville offices. How are passengers compensated for their car accident injuries? As an injured passenger, unlike a driver, it is unlikely anyone will attempt to assess any liability on the passenger for the collision. The passenger generally looks to determine which driver caused the collision or if there were multiple causes for the collision. This determination is extremely important because in some instances a passenger will be excluded from coverage by their driver’s insurance carrier. There are some important things to remember when seeking compensation for your accident-related expenses. Medical care, including emergency room visits, surgery, hospital stays, follow-up care, and necessary medication. Anticipated future medical needs, if you have suffered disabling injuries. Lost wages for the time you were unable to work due to your injuries. Loss of future earning potential, if you have suffered disabling injuries. Pain and suffering, including both the physical pain and the emotional trauma of the accident. The driver of the car in which the passenger was riding. The driver of the other vehicle or vehicles. Multiple drivers, in accordance with their percentage of fault. The vehicle owner, if the driver at fault was operating a vehicle belonging to someone else. If you attempt to collect damages from more than one party, keep in mind the total amount of damages is generally allocated between the parties by their respective fault. In California, the law allows an injured party to collect all their out of pocket damages (called special damages) from any one party that is at all responsible for the collision. For the monetary damages related to pain and suffering, the laws allocates this damage strictly by the percentage of fault of each party. The objective is to make the injured party as whole as possible, not to provide a financial windfall. When you have immediate medical bills that aren't covered by your health insurance, you may wish to use the MedPay coverage from your own auto insurance policy or the policy of the driver whose vehicle you were riding in. Approving claims made in this way is much quicker since fault does not play a role in the process. However, any funds you receive will often need to be repaid if you later receive a settlement from the at-fault driver. If your accident occurred when you were riding with a family member, you may be wondering if you are eligible to make a claim covered by your relative's insurance. This depends on the specific terms of the policy, as well as where each occupant of the vehicle lives. When an at-fault driver and passenger live in separate houses, the passenger is eligible to recover damages resulting from an accident. This means that you'd likely be eligible for coverage if you were in an accident while visiting your aunt or accompanying your grandmother to a doctor's appointment. Unfortunately, many insurance policies have an exclusion that prevents liability coverage for passengers if the vehicle occupants all live in the same household. This means that accidents involving injured children are not covered when a parent is driving and causes an accident. Make sure you consult with an attorney to explore all the nuances in possible insurance coverage. If you were riding in a vehicle with a friend, you may feel awkward trying to bring an injury claim to recover accident-related damages. Remember, your claim will involve the insurance company more than your friend. Also, be careful that you do not accept an offer to pay for your out of pocket expenses without consulting with an attorney. Some insurance companies try to get a quick settlement to prevent having to pay for all the damages caused by their insured driver. Even when you are occupying someone’s vehicle, a passenger may still be covered by their own uninsured or underinsured motorist coverage. For example, if the passenger has an uninsured motorist policy that is larger than the insurance available for the at-fault driver(s), then that policy may be available to help pay for the damages. Also, if the car in which the passenger was riding has uninsured motorist coverage, that coverage may also be available to the passenger under the right circumstances. As an injured passenger, your claim is considered a third-party claim. This means you are filing under an insurance policy that's not your own. To protect your rights throughout this process, it is recommended that you retain legal representation. Your attorney can gather evidence, line up the relevant expert testimony, and negotiate the highest possible settlement on your behalf. The attorney can also evaluate the possible source of all available insurance coverage. Many people worry about the cost of hiring an attorney when they are injured and unable to work. However, money should be no object when it comes to advocating for your needs in a car accident personal injury case. Personal injury lawyers work on a contingency fee basis, which means you pay no upfront fee. Instead, your attorney will accept a percentage of the final settlement. How Do You Protect the Statute of Limitations in a California Personal Injury Case? How can an attorney help me resolve my car accident case? If you recently suffered injuries in a car accident caused by another driver's negligence, you may be wondering if it is really necessary to hire an attorney to settle your personal injury claim. Although it may seem tempting to try to resolve the claim on your own, the services and experience an attorney provides may be worth the expense incurred for the attorney’s services. Many injury victims believe that can’t afford an attorney so they will have to deal with the insurance companies on their own. You can afford a personal injury attorney! Most excellent personal injury attorneys do not require you to pay them upfront. In fact, these attorneys, including the Inland Empire Law Group, work on a contingency fee basis. This means that the attorney gets paid out of the settlement or judgment the secure for you as the accident victim. If there is no recovery, there is no fee for the services provided. Don’t be afraid to speak with an attorney to see what he or she can do for you. Personal injury cases can be time-consuming to prepare and present to the insurance company or the courts. If you are recovering from broken bones, burns, or other serious injuries, your top priority should be your health. When you hire an attorney to handle your case, he or she will oversee all communication with the insurance company. This leaves you free to focus on meeting your immediate medical needs. If you are trying to settle a case on your own, you can easily to overlook crucial evidence that supports your request for damages. There are strict criteria used to determine what makes an expert a credible personal injury witness. An experienced attorney has a network of experts known for their reputation in court. Never forget that insurance companies exist to make a profit. They are not necessarily concerned with whether you receive a settlement that adequately compensates you for your injuries. In fact, car accident victims without legal representation are likely to receive offers for significantly smaller than what their case is truly worth. Although an attorney's expert negotiating skills are invaluable in any car accident case, they become particularly important if you are partially at fault for the accident. California law allows you to collect damages if you are partially at fault for the accident, although your compensation will be reduced by your assigned percentage of fault. However, since there is no set formula used to determine the percentage of fault, a skilled attorney can often negotiate a lower fault percentage and thus increase your eligibility for compensation. Hiring the right lawyer to handle your case will increase the likelihood your settlement will be much better than handling the claim on your own. Making sure you hire a highly skilled personal injury lawyer may also help you in recovering greater compensation than a less skilled attorney. Each case is unique, but generally, hiring the right attorney makes a major difference. Inland Empire Law Group's dedicated legal team is committed to helping California residents who have been injured due to the negligence of others receive the personal injury compensation they need to move forward with their lives. You will find a team of very skilled legal professionals working to maximize an injured person’s recovery. Call today to schedule a free, no-obligation consultation. Appointments are available at our Rancho Cucamonga or Victorville offices. Why do airbags sometimes fail to deploy in a crash? After a car accident, determining liability for your injuries can help you decide how to best alleviate the financial burden associated with the incident. 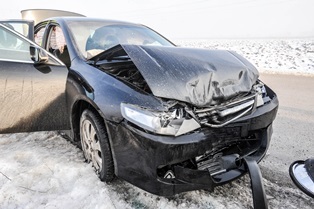 If your airbags did not deploy in the crash, this could potentially mean that you have the basis for a valid product liability claim as well as a personal injury case. Should the Airbag Have Deployed? It is a common misconception that airbags should deploy in every accident. The force of an airbag can cause traumatic brain injuries, loss of hearing, blindness, burns, or broken facial bones if it deploys when it is unnecessary. Therefore, airbags are intended to only deploy in serious crashes. At the time of impact, you need to be traveling above 12-18 miles per hour for the airbag to deploy. Passenger airbags will not inflate if the passenger is a child since they are intended for adult use. Frontal airbags should deploy in head-on or near frontal crashes. Side and side curtain airbags only deploy when you have been stuck from the side. An angled front impact might not set off any airbags. Airbags are not intended as a substitute for seat belt use. To protect yourself, you should always buckle up before you start to drive. Airbags are monitored and controlled by computer network sensors that calculate the location and severity of the impact. Based on pre-programmed criteria, the sensors determine if the airbag should deploy. When the sensors fail, the airbag will not work. In addition to faulty sensors, airbag problems can sometimes be traced to faulty wiring and design or manufacturing defects. Unfortunately, these issues are often undetectable until an accident has occurred. Should I Be Concerned About the Takata Recall? Over the years, there have been multiple recalls associated with defective airbags. However, the largest and most recent recall involves vehicles from 19 different automakers made from 2002 to 2015. These vehicles have airbags made by Takata, which have been linked to 18 deaths and hundreds of injuries throughout the United States. The Takata airbags have defective inflators, which can ignite with explosive force. If the inflator ruptures, it can send metal shards flying throughout the vehicle. The risk appears highest in areas with both high-humidity and high-temperature cycling, but incidents have been reported in all climates. As the result of this defect, Takata has been named in multiple product liability lawsuits. Efforts have been made to notify vehicle owners if their cars are included in the Takata airbag recall, but drivers who move frequently or purchased used vehicles from a private party can prove difficult to contact. If you do not know what brand of airbags are installed in your vehicle, you can contact the car's manufacturer or take it to a nearby dealership for assistance. How Does a Faulty Airbag Affect My Eligibility for Compensation? Normally, when you are involved in a car accident, the at-fault driver is financially responsible for damages you have suffered. The equation becomes a bit more complicated if there is evidence to suggest your vehicle had faulty airbags. When the airbags failed to deploy and you suffered injuries that would likely have been prevented if the airbags were working correctly, the airbag manufacturer may be responsible for those additional injuries which could otherwise have been avoided. If the accident is one that shouldn't have triggered the airbags, there is no possible product liability claim. Due to the expense in bringing a product liability claim against a manufacturer of an airbag, the additional injuries must be substantial and valued at an amount greater than the available insurance or assets of the at fault driver. Loss of wages while you were unable to work due to your injuries and any applicable loss of future earning potential due to an accident-related disability. Aid and assistance with daily living. When one is severely injured they may need in home care, living assistance or yard care. Pain and suffering, including both the physical pain and emotional trauma from the accident. Meeting with an experienced personal injury attorney can help you determine how to best proceed with your case. Call today at (909) 481-0100 or toll free at (888) MY-IELAW to schedule a free, no-obligation consultation with the dedicated legal team at the Inland Empire Law Group. Appointments are available at either our Rancho Cucamonga or Victorville offices. What Is the Role of an Expert Witness in a Civil Trial? 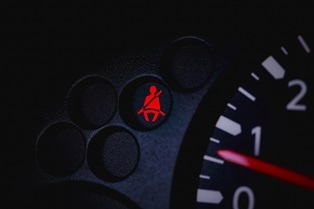 Can I recover damages if I was not wearing a seat belt at the time of the accident? California's seat belt law requires both drivers and passengers to buckle up when a vehicle is in motion. Even if you violate this law, and you are involved in an auto accident while not wearing a seat belt, you still may be entitled to compensation for some of your injuries from the at-fault party. Under California law, the only people who do not have to wear seat belts are those with medical disabilities that prevent seat belt use or people engaging in occupations that make frequent stops, such as USPS, newspaper delivery persons, or waste collection personnel. Children who are too small to use a standard vehicle seat belt must be restrained in an appropriate car seat or booster seat. Also, if you occupy a vehicle that does not have a seatbelt provided, such as some public transportation, you are not required to wear a seatbelt. If you violate California's seat belt law, you can be ticketed for this violation. Some tickets can be for a minimum fine of $162 for an adult violation, or $465 for a child under the age of 16. Penalties are assessed against the parents of the minor, or the driver if the parents are not in the car. If you are involved in an accident and were not wearing your seatbelt at the time, you may receive a ticket from the law enforcement officer at the scene for failing to buckle up. However, the ticket does not prevent you from filing a personal injury claim. California is a comparative fault state but has specifically stated that failing to wear a seat belt does not bar you from seeking a claim for accident-related expenses. The way the courts address this violation for purposes of civil responsibility of liability is that the Courts will look to see what injuries could have been avoided if a seatbelt was worn and those injuries can be excluded for recovery. All other injuries are available to pursue. The insurance company for the at-fault driver will try to argue that nearly all the injuries are related to your lack of seat belt use. If they are successful, then they reduce the amount they are obligated to pay for the injuries. In this scenario, expert testimony from biomechanical and medical experts will become crucial. Your own attorney will need to locate experts who can provide testimony on your behalf to establish that your injuries are unrelated or only minimally related to your lack of seat belt use. California has widely been considered a leader in seat belt use, with over 97 percent of drivers and passengers buckling up to protect themselves on the state's busy roads and highways. While it is always smart to be properly restrained before you start out on the road, there's no reason you should bear the brunt of all accident-related expenses due to one simple mistake. If you are determined to be partially responsible for the accident or for your injuries from not wearing your seatbelt, your settlement will be reduced by your assigned percentage of fault. For example, if you were determined to be 20 percent at fault for the accident and would otherwise be eligible for a $100,000 settlement, you would receive $80,000 or 80 percent of the original settlement total. 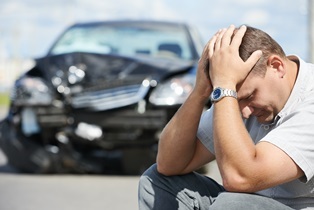 After a California car accident, you have up to two years to file a personal injury claim. The best way to protect your right to a fair settlement is to have an experienced attorney advocating for your interests throughout the process. Inland Empire Law Group's legal team is committed to assisting California residents to obtain the personal injury compensation they need to move forward with their lives following a car accident. Call us today to schedule a free, no-obligation consultation. Appointments are available at either our Rancho Cucamonga or Victorville offices. What happens if I am injured in an accident caused by an excluded driver? Excluded drivers are not covered by an auto insurance policy, even if they have permission to use the vehicle. If an excluded driver causes an accident, the accident is treated as if the driver had no insurance at all. This can create problems if you have been injured in an accident caused by an excluded driver and need to protect your right to compensation. The most common reason why people opt to exclude drivers is to save money on their car insurance. California law requires good driver discounts of 20 percent or more for drivers with no accidents during the past three years. (Cal Ins Code §1861.02) This law has been on the books since 1988 and also requires that drivers who do not qualify for the discount due to a household member's poor driving record be given the opportunity to exclude the problem driver in exchange for lower rates. If the driver is excluded, that driver should not be behind the wheel of a car for which they are an excluded driver. In addition to the money-saving aspect of excluding specific drivers, some people opt to take advantage of the excluded driver option to prevent a policy from being canceled altogether. This scenario is most likely when the problematic driver has a recent conviction for driving under the influence (DUI) or a related offense that would put a driver in a "high risk" category. Also, some parents or guardians opt to exclude teen drivers if they do not intend to allow driving privileges. Permissive use is a concept that allows a vehicle owner to maintain coverage when a friend or family member borrows the vehicle for a short time. For example, permissive use would cover an accident caused by a friend who is allowed to use the car to drive the store to pick up a gallon of milk or to run errands while a vehicle is in the shop. Permissive use applies in most situations where the driver has a valid license and is not using the vehicle on a regular basis or for a commercial purpose. 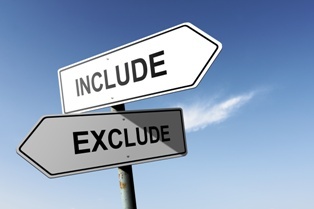 Excluded drivers do not qualify under permissive use because the auto insurer has been specifically told they are not allowed to drive the vehicle. When an excluded driver has an accident, the claim will be denied automatically. Even if there is a legitimate medical emergency that requires the excluded driver to operate the vehicle to take the policyholder to the hospital, there won't be any insurance coverage available to cover liability and property damage. Medical coverage may still be available, but this varies according to the terms of the specific policy. If you are in an accident where an excluded driver is at fault, your Uninsured Motorist Coverage (UMC) /Underinsured Motorist Coverage (UIM) can be used to help pay for damages. California law requires all auto insurance policies sold within the state to offer this coverage unless you waive your rights in writing to UMC/UIM coverage. Collecting damages from the liable party's personal assets can be challenging since it is not always readily apparent what assets are available for a settlement. In cases involving accidents caused by excluded drivers, the assistance of an experienced personal injury attorney can prove invaluable. If you have been injured in a car accident in California by a private individual or company, you have two years to file a personal injury claim for damages. If you been injured by a government entity, you need to submit a government claim within six months from the date of the collision. Inland Empire Law Group's attorneys have extensive experience assisting California residents in receiving compensation for car accident injuries. Call us today to schedule a free, no-obligation consultation at either our Rancho Cucamonga or Victorville offices at (909) 481-0100.